We went to go see Yo Gabba Gabba this weekend in Boston with one of Zara’s very best friends. To celebrate, my friend and I decided to make tutu’s with all the characters on them. I know this isn’t food related, BUT it IS kid related. And what kid that is over the age of two doesn’t love Ya Gabba Gabba? 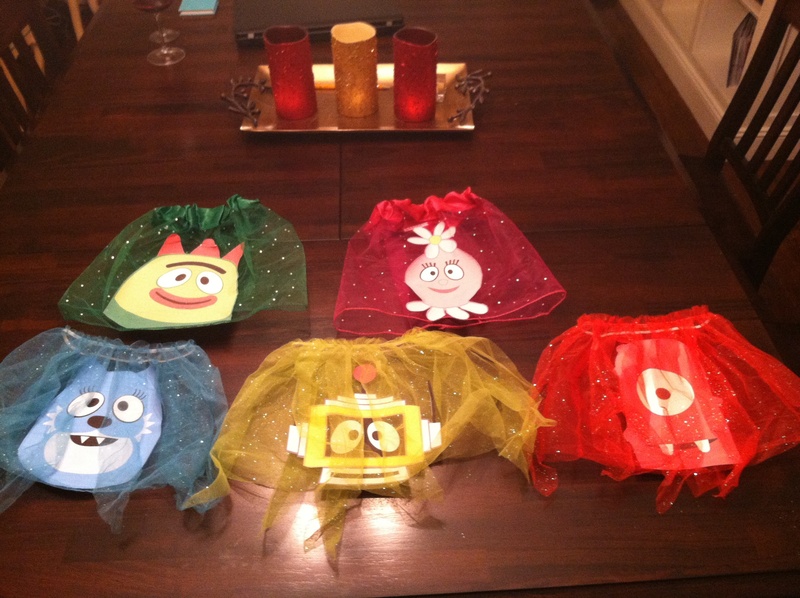 I bought these tutu’s at the Dollar Tree and printed the images out from Nick Jr’s page onto transfer paper. You simply, press and go. We had the girls wear them to the concert. Who cares? We danced, we sang, we brought our own snacks…and the girls loved every moment of it. I actually really expected a mob scene, but it was really civilized. Almost British in the way everyone queued up in the right place for tickets and to get in. I’d say if you have the chance…go.